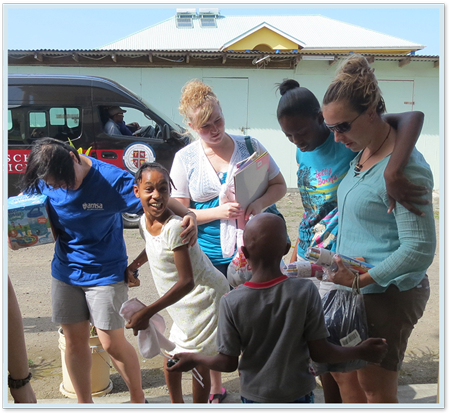 Students on the St. Vincent campus of Trinity School of Medicine, who are members of the American Medical Students Association (AMSA), journeyed to Georgetown on Sunday, 23rd March to deliver a quantity of items to the St. Benedict Orphanage and Day Nursery. 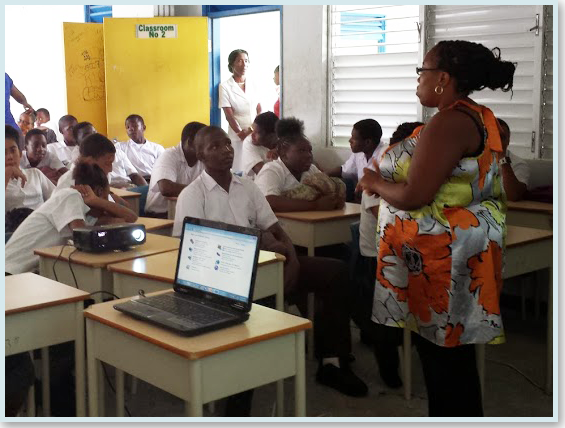 Students of the Dr. J. P. Eustace Memorial High and the Intermediate High Schools were, last week, given the opportunity to find out more about HIV/AIDS. This was made possible as it formed part of an HIV/AIDS Outreach Programme undertaken by several students of Trinity School of Medicine. Three students: Afolami Fagorala, Cherelle Smith, and Sarah Celebi paid special visits to the Dr. J. P. Eustace Memorial High on Tuesday, 18th February, and the Intermediate High on Friday, 21st February with the mission of imparting information about HIV/AIDS to Third Form students of both secondary schools. The workshop began with a video presentation of cases of sexually transmitted infections, like gonorrhea, syphilis, and chlamydia. According to the facilitators, the main aim was to draw out reactions from the participants, in order to fully engage them in the subject matter.